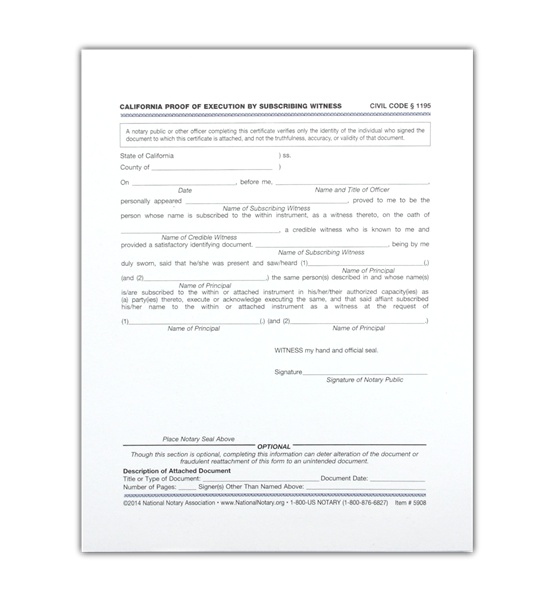 Use this certificate when a principal signer who cannot appear before the Notary directs a third party (the subscribing witness) to witness that principal’s signing or acknowledging of his or her signature on a document. Pad of 100 certificates includes helpful how-to instructions. We're sorry. 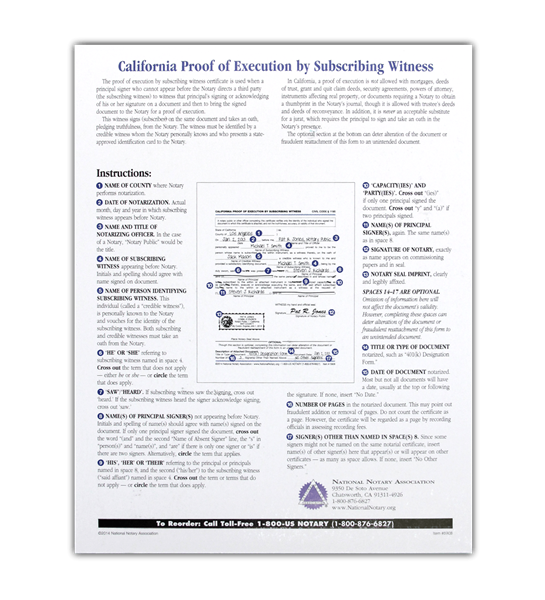 California Proof of Execution by Subscribing Witness is not available for use by Notaries in Virginia. If the chosen state is incorrect, you may change your state at the top right of the page.